Although the Lexus car brand has not been available in Europe for too long, more and more car enthusiasts are finding the models of this Japanese company. Although Lexus cars are known for their excellent construction quality, it may be necessary to have a rear window replacement for the Lexus. This can happen, for example, if you have had an accident or vandalism has struck the car. Repairing the car window is usually no longer possible. When you replace the rear window of a Lexus it can run in the paper when you have it done by a brand dealer. The replacement is fortunately also possible at a more attractive price. This can be done by opting for so-called after market car windows. How your Lexus rear window can be replaced with these products, we will tell you here after we have gone into the special history of this luxury car brand. Many Japanese automakers had problems exporting cars to America in the 1980s and 1990s. New rules were introduced, which became stricter and stricter. For example, there was a maximum number of vehicles that could be exported from Japan to the United States. In order to gain as much profit as possible from the sale of cars on the American market, several Japanese car brands chose to set up a luxury branch and sell these models under a different brand name. By applying this trick, the well-known Japanese car brands were able to escape under the rules and still increase the profits from their exports to America. ordered the production of the best car in the world so that it could be sold under a new brand name in America. This resulted in 1989 in the first model of Lexus: the Lexus LS 400. This car soon became a big hit in America and especially praised for its quietness, build quality and price/quality ratio. Already in its first year of production, Lexus achieved higher sales figures in the United States than previously expected. This was particularly shocking for other brands in the luxury segment, such as BMW and Mercedes. The sales figures of these two German car brands fell by tens of percent in the first years that Lexus appeared. Due to the success in America, parent company Toyota decided to roll out Lexus in some other countries as well. It is remarkable that it was decided not to do this in the home country of Japan. After America, the United Kingdom, Switzerland, Canada and Australia followed. were made. A big breakthrough came with the Lexus ES 250, which went into production from 1991 onwards. This model in particular made Lexus the market leader in the luxury car segment in America as early as 1991, just two years after the launch of the brand. 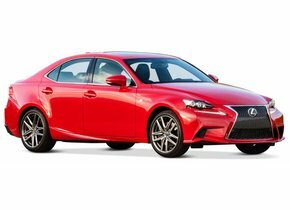 Perhaps even more important is that Lexus was seen by various research agencies and car magazines as the car company that delivers the highest quality and whose customers are most satisfied with their purchase. In those years Lexus became a well-known brand in more and more countries and the expansion gradually continued. In 1996, several European countries were added and Lexus was also introduced in South America. In 1999, Lexus managed to sell the millionth car in America and already in 2004, the milestone of a total of two million cars sold was reached. It is noteworthy that Lexus did not sell on its own continent until 2005. In Japan and China, as well as in Taiwan and South Korea, this proved to be a good move. In the premium segment, Lexus quickly became the market leader and its sales figures are still excellent. When do you need to replace the rear window of your Lexus? If you have a car from the Japanese car brand Lexus then unfortunately it may be necessary to replace the rear window. Replacing the rear window of your Lexus is necessary because it will break into thousands of pieces in case of a hard impact. Of course, a car window repair can no longer be carried out. This is because the rear window of almost all cars is made of tempered glass. This is a single layer of glass that has been heated quickly and then cooled down quickly. This causes a great tension on the rear window. The car window is quite strong because of this tension. 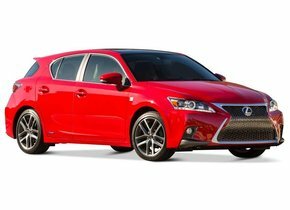 However, if the window is hit, it will burst into many small pieces and the rear window replacement of your Lexus will be required quickly. Automotive manufacturers choose this type of glass because it is safer for the occupants. The small pieces of glass are less likely to cause major injuries. That is why it is called safety glass. The disadvantage is that the replacement of your Lexus rear window can not wait long, because the rear window will immediately be missing entirely. This is different for the windscreen replacement of a Lexus. This can be prevented because windscreens are made of laminated glass. As long as it is an asterisk or a small crack, you can and may still drive on with it, or you can even repair it. Unfortunately, this does not apply to the rear and side windows. Luckily you don't have to pay the main price if you want to replace your Lexus rear window. This can quickly become an expensive affair for a brand dealer. This is in particular because only a brand dealer can initially sell car windows bearing a brand logo. As a result of this exclusive right to the sale, the Lexus rear window replacement with a car window with a brand logo is not particularly advantageous. The lack of competition leads to higher prices than are actually necessary. Via us you can easily and quickly buy after market car windows. The rear window replacement of a Lexus is also excellent to do with these products. The quality of this after market automotive glass is exactly the same, moreover, the car windows come from the same factory as the ones with a brand logo. 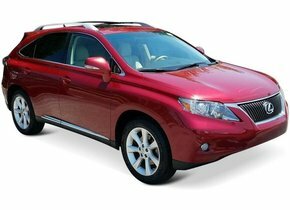 The only difference is the price that is a lot cheaper for you as a Lexus owner. A special thing is that it is possible to do the rear window replacement of the Lexus yourself when you place an order here. Simply select the rear window you need and order the related rubbers and frames right away. We make sure that you receive your order quickly, so that you can get back on the road safely in no time. Do you not have the knowledge to replace the rear window of your Lexus yourself? Then have the car window replaced at home by our certified partners. These experts will even replace the rear window of your Lexus on site and will also do this at an attractive price. Choose the excellent value for money and order your new Lexus rear window today.